I swear this isn’t a Kevin Spacey list; it’s just a coincidence that he is in a good portion of my favourite dramas. Se7en (1995): John Doe (Kevin Spacey) is giving the world a glimpse of his idea of the seven deadly sins with gruesome acts of savagery and murder. Brad Pitt, a young detective taking over for retiring detective Morgan Freeman, must work together to try to stop John before he completes all seven. 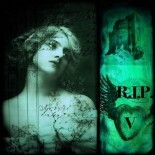 The story, the depictions of the sins and the acting are all brilliant. A great movie but not for those with a weak stomach. L.A. 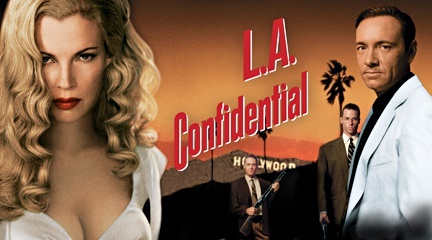 Confidential (1997): Period piece set in 1950’s Los Angeles about police corruption, prostitution and murder. Based on the James Ellroy novel of the same name, the movie is beautiful in capturing the glitz and grime of 1950’s L.A. I love the old fashion style and the way the men and women dressed and the old cars. The story is engaging and the movie has a top bar cast including Kevin Spacey, Kim Basinger, Guy Pearce, Russell Crowe and James Cromwell among many of the wonderful and talented actors. 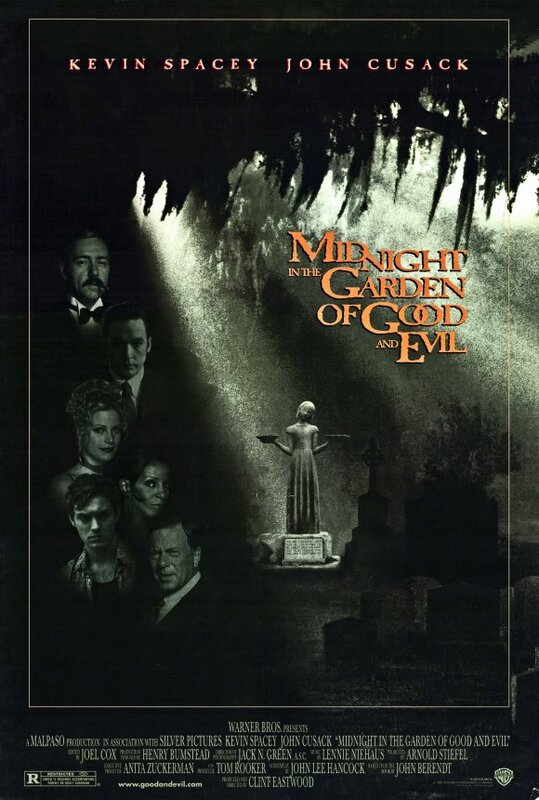 Midnight in the Garden of Good and Evil (1997): Another Kevin Spacey movie based on a book. Midnight is drawn from the non-fiction book by John Berendt about a Savannah, Georgia, murder case involving a wealthy antiques dealer, Jim Williams (Spacey) and his young male companion Billy (Jude Law). Set in the ’80’s, the story is told from the perspective of journalist John Kelso (John Cusack) and deals with the taboo yet, silently accepted and purposely ignored gay nature of the relationship between Jim and Billy. Williams was acquitted of murdering Hanson but died of natural causes shortly after being released from prison. The setting of wealthy Savannah is gorgeous with old world charm and prejudices being clearly shown. Add in some voodoo and you have a good movie with a good story. 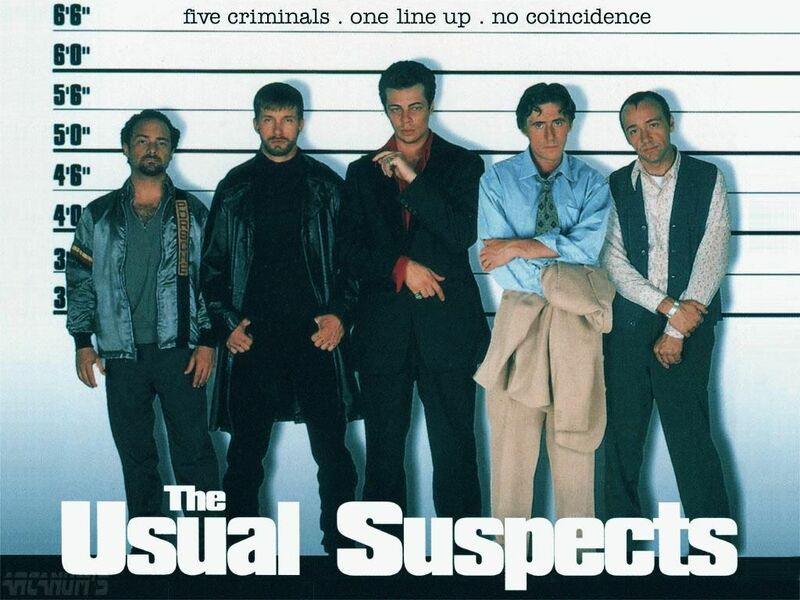 The Usual Suspects (1995): Number four in the Spacey, I mean Drama List. Five cons are unwittingly thrown together by mysterious criminal mastermind, Keyser Soze, to pull off a heist that they can’t say no to. I won’t say anything more if there is anyone out there who has not seen this movie. I wouldn’t want to ruin the wonderful story. And it is a great story also starring Gabriel Byrne, Stephen Baldwin, Kevin Pollak and Benicio Del Toro. Honourable Mention: Schindler’s List (1993), American History X (1998), Bronson (2008), 8mm (1999), The Town (2010), Gothic (1986), Little Women (1994), Steel Magnolias (1989), Momento (2000), Red State (2011), Platoon (1986), Silence of the Lambs (1991). This is one excellent list. I am not Kevin Spacey fan at all, but I would have included ‘Seven’ (maybe its more horror than drama though), ‘The Usual Suspects’ and ‘L.A. Confidential’ without any second thoughts too. 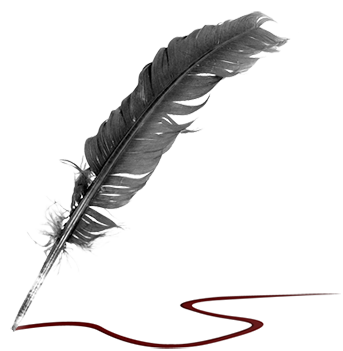 This entry was posted on October 1, 2012 by Denise in Movie Goodness, Musings and tagged gothic, james ellroy novel, Kevin Spacey, LA CONFIDENTIAL, Midnight in the Garden of Good and Evil, Schindler's List, Silence of the Lambs, Steel Magnolias, Usual Suspects.